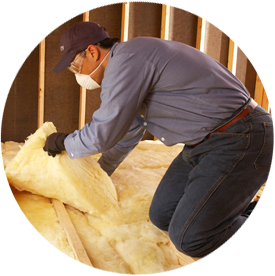 If you need to insulate your home, this page is for you! Do you need to install insulation in the new home you’re building? Need to re-insulate your home? Whatever your situation, Tidewater Insulators can help! If you’re looking for spray foam insulation contractors in the Gloucester, Virginia area, consider your search over. Whether you’re near one of our many bodies of water, like the York River, Mobjack Bay, or the Piankatank River or you’re out by Owl Trap, our expert team has you covered. We can help you through every stage of the insulation process, from initial quote to installation. Get a FREE QUOTE for spray foam insulation in Gloucester, VA today by filling out the contact form on this page or calling 757-828-0024! Why Use Spray Foam Insulation in Your Gloucester Home? Spray foam insulation is a good choice if you want to make your home in Gloucester more energy-efficient and comfortable. We use BASF Sprayed Polyurethane Closed Cell Foam. BASF SPRAYTITE is a high-quality spray foam insulation that creates a continuous air barrier for the highest energy efficiency possible. Wherever you need to insulate your Gloucester home, spray foam insulation installed by Tidewater Insulators is a great solution. Our experienced team can provide complete spray foam insulation services for your home in Gloucester, VA. We have years of experience serving your friends and neighbors, so you can rely on us. Contact us online or by phone at 757-828-0024 to get a FREE QUOTE for spray foam insulation in Gloucester, VA.